April 2016 Income – What’s Working Now? Hey guys, here we are with the 19th edition of the Binary Today income report. Here you will find out what’s working for me and the rest of the binary options community. I’ll be showing you what tools are providing the most significant gains and what we can trust moving forward. I know I’m a couple days late here but I’m actually feeling a little under the weather so I’m going to try and do this quick and keep it brief. Here you can see what tools I’m relying on the most in my binary options trading. All of these systems are voted on daily the Binary Today readers so we can continue profiting as a group. April was a very strong month. I hit a new personal best at reaching over 30K in a single month and I leaned heavily on all the top rated binary options software. You can see that I used Binary Brain Wave and Binary Ascend more this month and this really helped stabilize my growth. Whenever one system isn’t giving me good results I start to focus on another until the next day. This way I’m using four different tools and four different strategies. In doing so I limit my risk and take advantage of any market conditions. I have been testing some new binary tools and a new Forex robot as well and I’m having very consistent results. I hope that I’ll be able to share these with you within the next few months. As for brokers, you can see who I’m currently using to trade on the best binary options broker page. Make sure you download my free software to help you win more trades. I’m really sorry that this is so short today. I know many of you were expecting another trade video but I’ve got a splitting headache at the moment. I’ll put up a video and provide more information about some of the new tools and strategies I’m using soon so stay tuned. Thanks for coming to Binary Today and supporting everything that we do here. 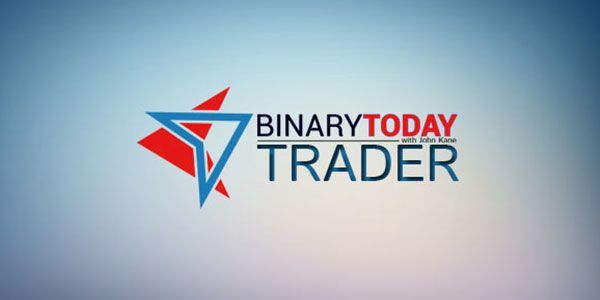 This is the most important community in the binary options market, and that’s because we win. While the rest of the traders are buying into auto-trading failure machines we keep showing monthly profits. I can’t do it without all of you. If you ever need any help or you just want to say hi, please click Ask John and send me an email, or leave a comment below. 15 Responses to April 2016 Income – What’s Working Now? Are you still working with a forex software? Another great month for you, another great month for me. I can’t say how thankful I am for everything you taught me here John, thanks again. My apologies if I already asked you this. With a brain wave signal, do you ignore the trade assistant, and just use the range detector, or do you use both? Hi Jon, yes I just use the range detector. If you use both you wouldn’t get any trades. You mean, both of them in one chart do not work together and one would not receive any signal? Would you please explain that a little bit further? Hi Josef, I’m saying don’t use both the trade assistant and range detector together. That would rule out too many trades and leave you with nothing. Use either the trade assistant or the range detector, not both. Thank you, for explaining that! I was scared with binary because my English isn’t good but I try anyways. I follow your videos, you make it easy for me. I win a lot of trades and feel good. thankyou. My accounts are very healthy because of you so you should be too! I’ve been doing very well following your systems and strategies. I just had my first 70% ITM month and I have you to thank. You deserve all the success in the world for what you are doing for the binary community.